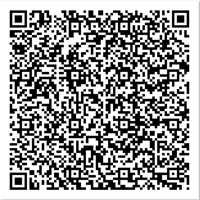 Dough Mixer knows as Dough kneader, dough kneading machine, dough making machines, flour kneading machine, flour mixing machine, atta , dough maker or atta mixing machine is suitable for besan atta, maida, chapati, namkeen, Indian savories khakara, chakli etc. We are available with dough making machine that are designed to perfection and are fabricated using best grades of raw material. 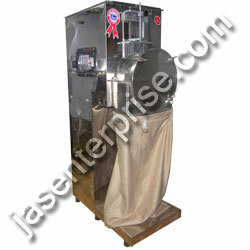 These machines can prepare soft dough with desired ingredients in a hygienic manner. 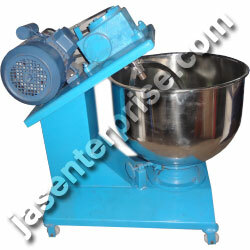 Jas enterprise offer dough mixer, specially designed for heavy duty dough mixer for the catering units, eatery, commercial kitchens and restaurants. 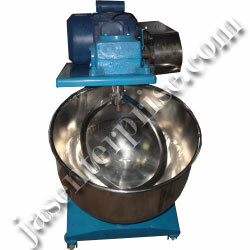 The dough are manufactured using stainless steel 304 with rotating arms and bowls. Our dough mixer machine takes lesser time and gives better water absorption and also folds and stretches the dough for aeration and fermentation. It features a stainless steel bowl, which moves at a slow speed. 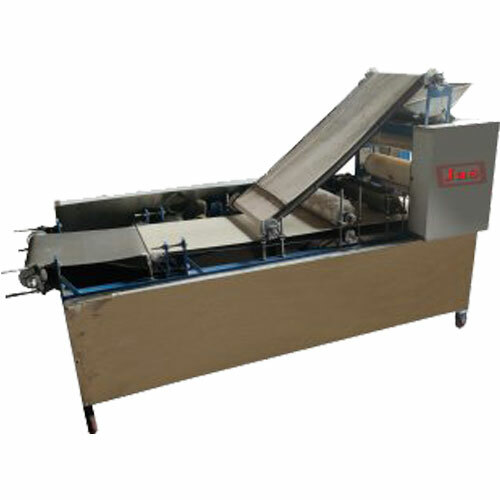 The dough kneading machine smakes mixing of the dough easier for preparing Gathiya or gathia bhavnagari gathiya, jamnagari gathiya, methi gathiya, makhaniya gathiya, Tum Tum, sev bhujia like aloo sev, garlic sev (lasun Sev), palak Sev (spinach sev), tomato sev, bikaneri bujia, ratlami sev, nylone sev, papadi or papdi, pani puri, chaat papadi, chapati, roties, puris, namkeens, samosa, partha, pizza et cetera. 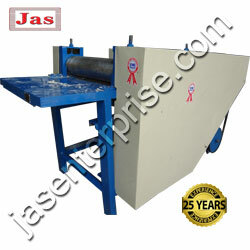 Our dough mixer machines's main body is fabricated form mild steel plated of adequate section to give rigidity and robustness. Rotated bowl is made from stainless steel and dough kneading machine's arm is made from stainless steel and it's driven by gear box. 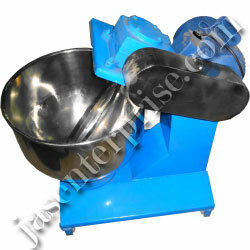 A specialized stainless steel scraper is provided with the dough kneader. Dough kneader’s bowl is rotated in clockwise and arm is rotating in anti clockwise thus batch is mix uniformly. Fabricated "V" belt guard is provided for safety. 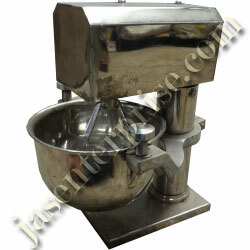 Designed specifically for batter mixing. 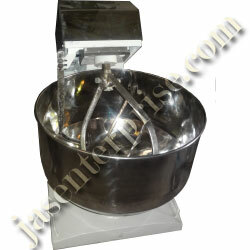 Easy and hygienic stainless steel bucket. 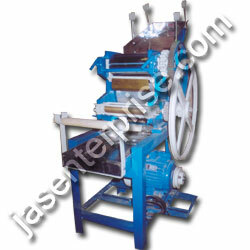 The machine is complete with all the safety devices required by international standards. Fitted with an efficient beater that ensures a perfect mix every time. Easy to operate – just switch on and add ingredients to the vortex around the beater. Tubular stand, stainless steel bucket and beater supplied.